The Police at the federal capital territory, Abuja, has reacted to reports that Senator Dino Melaye was earlier today, allegedly abducted by unknown gunmen. 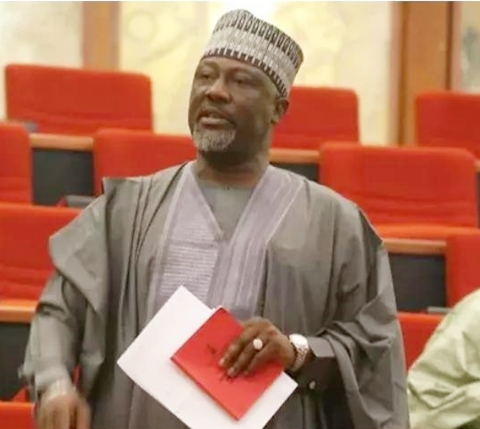 The Federal Capital Territory (FCT) Police Command, have said that it was not aware of the abduction of Senator Dino Melaye, who was reportedly kidnapped on Thursday morning, by unknown gunmen in Abuja, on his way to Kogi State. In reaction, the FCT police command said it was not aware of the abduction as nobody has informed the police. Public Relations Officer of the Command, Anjuguri Mamza, made this known in a telephone interview with Daily Sun, in Abuja. “We do have any report about the kidnap of Senator Dino Melaye”. Mamzah, said and refused to comment further.